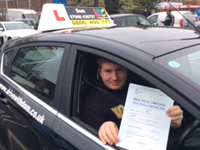 A huge Well Done to Lewis, 1st time Pass in Enfield on Thursday, brilliant drive. Lewis was a pleasure to teach. 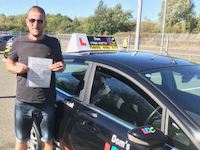 He did his studying with the LDC Workshop Book so our in-car time was time well spent, and this meant we could really crack-on and nail a 1st-time pass. Marvellous job! 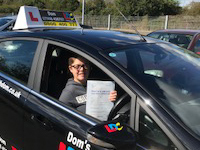 Huge Congratulations to Karla who passed in Loughton on Wednesday. 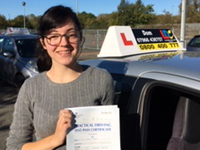 Karla came to me having failed a few tests and needed a bit of a confidence boost and some honing of her driving skills. Top pass...only 1 minor! Well done! 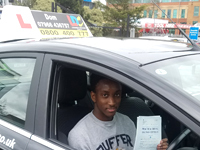 Well done to Jimi, excellent Pass in Borehamwood. Happy motoring and take care, it's been a pleasure teaching you. Top Drive by Seb on a bright Winters day. Seb was a great student who worked hard, listened, and acted upon advice given by me. A well-deserved pass. 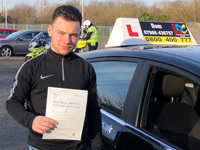 Well done to Emi...Emi came to me after failing to pass a couple of times with a previous instructor and felt he wasn't getting anywhere. We worked well together so although it wasn't his first test, it was a first with me! 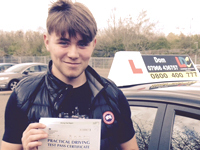 Well done to Will, excellent pass in Borehamwood.... (and how hard are Apex and Sterling Corners? )...handled brilliantly! 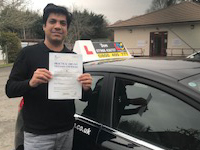 Congratulations to Sudhir, a great Pass in Pinner, achieved during the afternoon school-run too! Well done to Sid, a splendid pass in Enfield, on a very busy, and frosty, January morning. 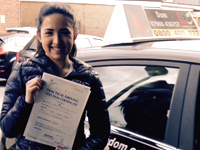 Huge congrats to LuLu, Passed 1st Time in Enfield, North London, Zero Minors! It has been a great journey...given LuLu didn't want to turn the engine on during our first lesson...21.5 hours later...Super Pass! 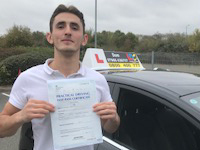 What can I say but huge congratulations to Lee for passing his Test in Enfield, North London...1st time...after just 6 hours training...Stunning performance and effort! Well done mate! 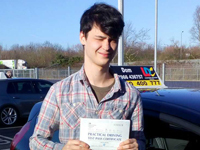 You did me proud, and gave me my third 1st Time Pass this week. Congratulations to Natalia, just passed First Time this afternoon in Barnet, North London, Gret result! (Shame you wouldn't let me take a photo though). Well done to Nikki, 1st Time Pass in Enfield, North London, yesterday, after just 10 hours instruction! Nikki overcame major nerves and absolutely nailed the test. The Examiner was impressed too!